The NEW Body20 Studio in Glenashley is now open! Are you tired of attending a regular gym? Feel like you are not making any progress? Don’t have enough time in the day to work-out and be a fully functional human being? 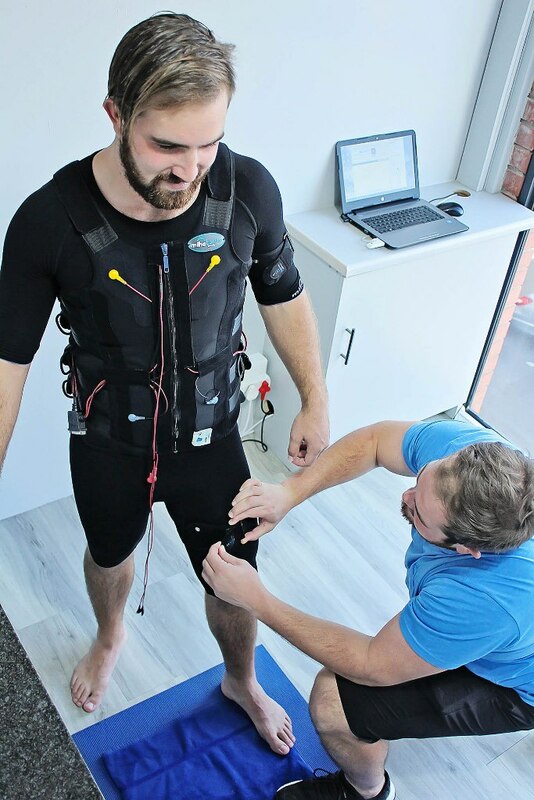 Well, there is hope Durbanites with the NEW Body20 Studio in Glenashley which introduces us to an innovative fitness technology called electro-muscular stimulation (EMS). While its introduction into the public domain is kinda recent, the technology first emerged in the ‘60s, when sports doctors in the Soviet Union used it as a form of strength training for elite athletes, some 10 years prior to its adoption by western nations. Another use of EMS that emerged during the same period was to help injured sportsmen to regain their former mobility and strength. Today, advances in this technology have broadened its scope. Electro-muscular stimulation is now widely used by top fitness studios, who provide effective, personalised training programmes that can save up to 80% of the time normally required to achieve the same results when following a conventional exercise programme. These programmes may be used either with or without weights, and are adapted to suit customers of all ages and fitness levels. Electrodes positioned above the targeted muscle groups deliver a pulsed electrical charge that causes an involuntary contraction identical to that required to perform physical exercise, such as lifting weights. However, because the current produces multiple contractions, a 20-minute Body20 EMS session is the equivalent of around four to six hours spent pumping iron. If you are keen to give it a go, but still a skeptic give the team a call and they will happily setup a trial session with you – no strings attached – Click Here to view their Facebook page. 2. Competition is valid for BODY20 in Glenashley ONLY. No exceptions. It will be the winner’s responsibility to liaise with the BODY20 team to setup dates and times to train. 3. Competition opens on 23 July 2017 and closes at midnight on 31 July 2017, South African Standard Time. 4. Winner/s will be randomly drawn and contacted via Facebook. Durbanite reserves the right to change the draw date. 5. The winner voluntarily assumes all risks and dangers incidental to training at BODY20, and waive any claims for loss, damage, personal injury or death against Durbanite, the management of Durbanite, affiliated entities, agents, officers, directors, owners and employees on behalf of yourself and any person accompanying you to training. You are not eligible to train at BODY20 if you suffer from any of the following conditions: pregnancy, pacemaker, neurological disorder, acute injury, fever, bacterial or viral infections. 6. Subject to these competition rules, Durbanite’s determination of the winners is final. No correspondence will be entered into. 7. The prizes are non-transferable for cash. If you are the winner, a copy of your South African identity document or passport may be required as proof that you are in fact the winner whose name was drawn. 8. By entering this competition you agree to all the terms and conditions stated above. 9. Employees, agents of or consultants to Durbanite and, their immediate family members (parents, children, brothers and sisters), spouse(s), life partners, business partners and associates are excluded from this competition. 10. Failure to comply with any of these Terms and Conditions will result in immediate forfeiture of the prize.